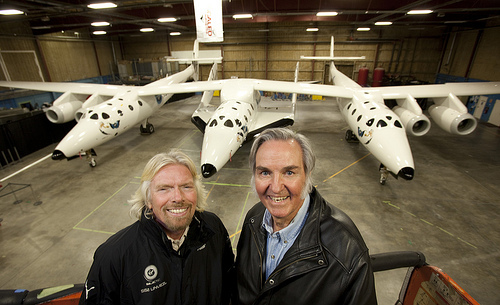 Today Virgin Galactic unveiled SpaceShipTwo to a crowd of 800 guests at the Mojave Air and Spaceport in California. 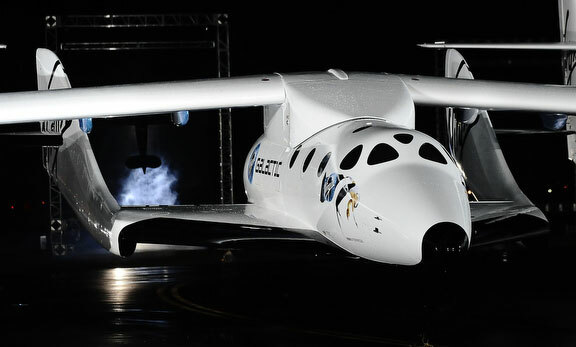 Sir Richard Branson of Virgin Galactic and Burt Rutan of Scaled Composites named the ship "VSS Enterprise" in honor of the famous starship from Star Trek. The world's first commercial spaceliner will undergo extensive safety testing before it offers its first flights perhaps as early as 2011. Among the VIPs present at the Mojave event were New Mexico Governor Bill Richardson and California Governor Arnold Schwarzenegger, who enthusiastically tweeted from the event. Another tweeter, William Pomerantz of the X PRIZE Foundation gave a play-by-play account of the press conference, where he reported that Bill Richardson called upon President Obama to embrace the commercial space industry so it can become more affordable, leaving NASA to focus on what it does best. Later, Rutan said he believes 40-50 spaceliners will eventually be needed to meet market demand for commercial spaceflight, and Branson said he expects to start seeing competition from rival spacelines in 3-4 years and a significant market 2020. (named "VSS Eve" after Branson's mother), SpaceShipTwo is the largest all-carbon-fiber aircraft ever built, which means it is lightweight and conserves fuel. 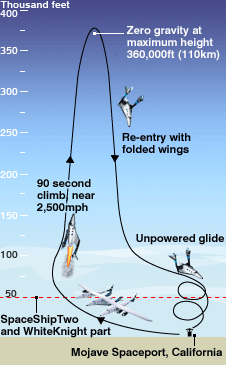 The plane will carry two pilots and six passengers to the edge of space for about five minutes of weightlessness before gliding back to Earth. A ticket costs $200,000, but over time the price should drop as demand and competition increase. Virgin has released photos of the SpaceShipTwo unveiling on its website and in a press release. A more detailed press release explained their vision for the future of commercial spaceflight. Today's public roll out on a cold, windy evening was the first time Eve and Enterprise have left their hangar together. Virgin hasn't released many photos yet, but there are plenty of stunning ones over at Spaceflight Now and Hyperbola. Jeff Foust put together a nice slideshow on Flickr, and a video of the roll out is now available from Parabolic Arc. 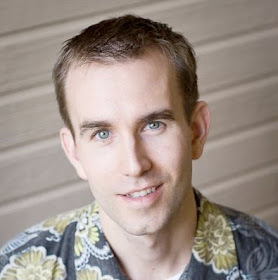 The story was well covered by the news media and bloggers, with good articles at SPACE.com and the BBC. Virgin Galactic's promotional video includes photos and animations of the Virgin Galactic flight experience. It also features interviews with Branson, Rutan, as well as Brian Binnie who piloted SpaceShipOne in 2004 to win the Ansari X PRIZE. I got to meet Rutan when he accepted the prize in St. Louis. This is an exciting time to be alive! I'm optimistic that we are witnessing the birth of a new industry about 100 years after aviation emerged in the early 20th century.